*All dates given in this article are official ‘scientific’ dates. For corresponding theosophical dates, see: Geological timescale, davidpratt.info. in the 1950s and 60s the new theory of Plate Tectonics was propounded by ‘geophysicists’ (physicists) and mainly young geologists with little experience, depth of understanding or respect for existing geology. The theory, although admittedly simplistic and with little factual basis but claiming to be all embracing, was pursued by its proponents in an aggressive, intolerant, dogmatic and sometimes unfortunately an unscrupulous fashion. Most geologists with knowledge based locally or regionally were not confident in dealing with a new global theory which swept the world and was attractive in giving Geology a prestige not equalled since the nineteenth century. Plate tectonics has faced growing criticism as the number of observational anomalies has increased. It will shown below that the theory faces some fundamental – and in fact fatal – problems. According to the classical model of plate tectonics, lithospheric plates move over a relatively plastic layer of partly molten rock known as the asthenosphere (or low-velocity zone). The lithosphere, which comprises the earth’s crust and uppermost mantle, is said to average about 70 km thick beneath oceans and to be 100 to 250 km thick beneath continents. A powerful challenge to this model is posed by seismic tomography, which produces three-dimensional images of the earth’s interior. It shows that the oldest parts of the continents have deep roots extending to depths of 400 to 600 km, and that the asthenosphere is essentially absent beneath them. Seismic research shows that even under the oceans there is no continuous asthenosphere, only disconnected asthenospheric lenses. The crust and uppermost mantle have a highly complex, irregular structure; they are divided by faults into a mosaic of separate, jostling blocks of different shapes and sizes, and of varying internal structure and strength. N.I. Pavlenkova concludes: ‘This means that the movement of lithospheric plates over long distances, as single rigid bodies, is hardly possible. Moreover, if we take into account the absence of the asthenosphere as a single continuous zone, then this movement seems utterly impossible.’1 Although the concept of thin lithospheric plates moving thousands of kilometers over a global asthenosphere is untenable, most geological textbooks continue to propagate this simplistic model, and fail to give the slightest indication that it faces any problems. The driving force of plate movements was initially claimed to be mantle-deep convection currents welling up beneath midocean ridges, with downwelling occurring beneath ocean trenches. Plate tectonicists expected seismotomography to provide clear evidence of a well-organized convection-cell pattern, but it has actually provided strong evidence against the existence of large, plate-propelling convection cells in the mantle. The favored plate-driving mechanisms at present are ‘ridge-push’ and ‘slab-pull’, but their adequacy is very much in doubt. For instance, it seems utterly unrealistic to think that gravitational forces acting down the slopes of the Mid-Atlantic Ridge are powerful enough to move the entire 120°-wide Eurasian ‘plate’. Thirteen major plates are currently recognized, ranging in size from about 400 by 2500 km to 10,000 by 10,000 km, together with a proliferating number of microplates (over 100 so far). Plate boundaries are identified and defined mainly on the basis of earthquake and volcanic activity. The close correspondence between plate edges and belts of earthquakes and volcanoes is therefore to be expected and can hardly be regarded as one of the ‘successes’ of plate tectonics. A major problem is that several ‘plate boundaries’ are purely theoretical and appear to be nonexistent, including the northwest Pacific boundary of the Pacific, North American, and Eurasian plates, the southern boundary of the Philippine plate, part of the southern boundary of the Pacific plate, and most of the northern and southern boundaries of the South American plate. Geological field mapping provides evidence that crustal strata can in certain circumstances be thrust over one another for distances of up to about 200 km. But plate tectonics goes much further and claims that entire continents have moved up to 7000 km or more since the alleged breakup of Pangaea. Satellite measurements of crustal movements have been hailed by some geologists as having proved plate tectonics. Such measurements shed light on local and regional crustal stresses and strains, but do not provide evidence for plate motions of the kind predicted by plate tectonics unless the relative motions predicted among all plates are observed. However, many of the results have shown no definite pattern, and have been confusing and contradictory, giving rise to a variety of ad-hoc hypotheses. For instance, distances from the Central South American Andes to Japan or Hawaii are more or less constant, whereas plate tectonics predicts significant separation. The practise of extrapolating present crustal movements tens or hundreds of millions of years into the past or future is clearly a hazardous exercise. A ‘compelling’ piece of evidence that all the continents were once united in one large landmass is said to be the fact that they can be fitted together like pieces of a jigsaw puzzle. However, although many reconstructions have been attempted, none are entirely acceptable. In the Bullard et al. computer-generated fit, for example, there are a number of glaring omissions. The whole of Central America and much of southern Mexico – a region of some 2,100,000 km² – has been left out because it overlaps South America. The entire West Indian archipelago has also been omitted. In fact, much of the Caribbean is underlain by ancient continental crust, and the total area involved, 300,000 km², overlaps Africa. The Cape Verde Islands-Senegal basin, too, is underlain by ancient continental crust, creating an additional overlap of 800,000 km². Several major submarine structures that appear to be of continental origin are also ignored, including the Faeroe-Iceland-Greenland Ridge, Jan Mayen Ridge, Walvis Ridge, Rio Grande Rise, and the Falkland Plateau. Like the Bullard fit, the Smith & Hallam reconstruction of the Gondwanaland continents tries to fit the continents along the 500-fathom (1-km) depth contour on the continental shelves. The South Orkneys and South Georgia are omitted, as is Kerguelen Island in the Indian Ocean, and there is a large gap west of Australia. Fitting India against Australia, as in other fits, leaves a corresponding gap in the western Indian Ocean. Dietz & Holden based their fit on the 2-km depth contour, but they still have to omit the Florida-Bahamas platform, ignoring the evidence that it predates the alleged commencement of drift. In many regions the boundary between continental and oceanic crust appears to occur beneath oceanic depths of 2-4 km or more, and in some places the ocean-continent transition zone is several hundred kilometers wide. This means that any reconstructions based on arbitrarily selected depth contours are flawed. Given the liberties that drifters have had to take to obtain the desired continental matches, their computer-generated fits may well be a case of ‘garbage in, garbage out’. One of the main props of continental drift is paleomagnetism – the study of the magnetism of ancient rocks and sediments. For each continent a ‘polar wander path’ can be constructed, and these are interpreted to mean that the continents have moved vast distances over the earth’s surface. However, paleomagnetism is very unreliable and frequently produces inconsistent and contradictory results. For instance, paleomagnetic data imply that during the mid-Cretaceous Azerbaijan and Japan were in the same place. When individual paleomagnetic pole positions, rather than averaged curves, are plotted on world maps, the scatter is huge, often wider than the Atlantic. One of the basic assumptions of paleomagnetism is that rocks retain the magnetization they acquire at the time they formed. In reality, rock magnetism is subject to modification by later magnetism, weathering, metamorphism, tectonic deformation, and chemical changes. Horizontal and vertical rotations of crustal blocks further complicate the picture. Another questionable assumption is that over long periods of time the geomagnetic field approximates a simple dipole (N-S) field oriented along the earth’s rotation axis. If, in the past, there were stable magnetic anomalies of the same intensity as the present-day East Asian anomaly (or slightly more intensive), this would render the geocentric axial dipole hypothesis invalid. India supposedly detached itself from Antarctica sometime during the Mesozoic, and then drifted northeastward up to 9000 km, over a period of up to 200 million years, until it finally collided with Asia in the mid-Tertiary, pushing up the Himalayas and the Tibetan Plateau. That Asia happened to have an indentation of approximately the correct shape and size and in exactly the right place for India to ‘dock’ into would amount to a remarkable coincidence. There is, however, overwhelming geological and paleontological evidence that India has been an integral part of Asia since Precambrian time. If the long journey of India had actually happened, it would have been an isolated island-continent for millions of years – sufficient time to have evolved a highly distinct endemic fauna. 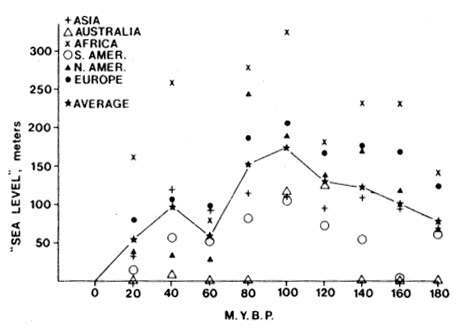 However, the Mesozoic and Tertiary faunas show no such endemism, but indicate instead that India lay very close to Asia throughout this period, and not to Australia and Antarctica. It would appear that the supposed ‘flight of India’ is no more than a flight of fancy! It is unscientific to select a few faunal identities and ignore the vastly greater number of faunal dissimilarities from different continents which were supposedly once joined.6 The known distributions of fossil organisms are more consistent with an earth model like that of today than with continental-drift models. Some of the paleontological evidence appears to require the alternate emergence and submergence of land dispersal routes only after the supposed breakup of Pangaea. For example, mammal distribution indicates that there were no direct physical connections between Europe and North America during Late Cretaceous and Paleocene times, but suggests a temporary connection with Europe during the Eocene. A few drifters have recognized the need for intermittent land bridges after the supposed separation of the continents. Various oceanic ridges, rises, and plateaus could have served as land bridges, as many are known to have been partly above water at various times in the past. There is growing evidence that these land bridges formed part of larger former landmasses in the present oceans (see below). The present distribution of land and water is characterized by a number of notable regularities. First, the continents tend to be triangular, with their pointed ends to the south. Second, the northern polar ocean is almost entirely ringed by land, from which three continents project southward, while the continental landmass at the south pole is surrounded by water, with three oceans projecting northward. Third, the oceans and continents are arranged antipodally – i.e. if there is land in one area of the globe, there tends to be water in the corresponding area on the opposite side of the globe. *Rupert Sheldrake likens the earth to a developing organism, and says that the existence of an ocean at the north pole and a continent at the south pole may be the culmination of a morphogenetic process: ‘Such a morphological polarization of a spherical body is very familiar in the realm of biology; for example, in the formation of poles in fertilized eggs’ (The Rebirth of Nature, Bantam, 1991, p. 161). Another significant fact is that the triple points formed where ‘plate boundaries’ (i.e. seismic belts) meet coincide very closely with the vertices of an icosahedron, which, like the tetrahedron, is one of the five regular polyhedra or Platonic solids. This, too, would be a remarkable coincidence if ‘plates’ had really changed their shape and size to the extent postulated in plate tectonics. According to the seafloor-spreading hypothesis, new oceanic crust is generated at midocean ridges by the upwelling of molten material from the earth’s mantle, and as the magma cools it spreads away from the flanks of the ridges. The horizontally moving plates are said to plunge back into the mantle at ocean trenches or ‘subduction zones’. The ocean floor is far from having the uniform characteristics that conveyor-type spreading would imply. The mantle is asymmetrical in relation to the midocean ridges and has a complicated mosaic structure independent of the strike of the ridge. N.C. Smoot and A.A. Meyerhoff showed that nearly all published charts of the world’s ocean floors have been drawn deliberately to reflect the predictions of the plate-tectonics hypothesis, and the most accurate charts now available are widely ignored because they do not conform to plate-tectonic preconceptions.9 Side-scanning radar images show that the midocean ridges are cut by thousands of long, linear, ridge-parallel fissures, fractures, and faults. 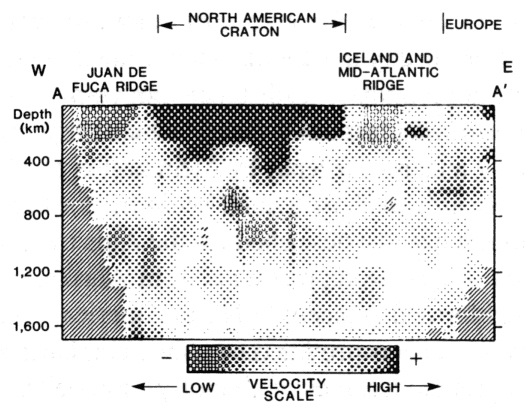 This strongly suggests that the ridges are underlain at shallow depth by interconnected magma channels, in which semi-fluid lava moves horizontally and parallel with the ridges rather than at right-angles to them. The oldest known rocks from the continents are about 4 billion years old, whereas – according to plate tectonics – none of the ocean crust is older than 200 million years (Jurassic). This is cited as conclusive evidence that oceanic crust is constantly being created at midocean ridges and consumed in subduction zones. There is in fact abundant evidence against the alleged youth of the ocean floor, though geological textbooks tend to pass over it in silence. Scientists involved in the Deep Sea Drilling Project were apparently motivated by a strong desire to confirm seafloor spreading. They have given the impression that the basalt found beneath the sedimentary sequences at the bottom of many deep-sea drillholes is the basement of the oceanic crust, with no further, older sediments below it. Yet in some cases there is clear evidence that the basalt is a later intrusion into existing sediments. The oceanic crust needs to be drilled to much greater depths – up to 5 km – to see whether the bottom layer contains Triassic, Paleozoic, or Precambrian sediments and/or granitic continental rocks instead of consisting entirely of basaltic rocks. The numerous finds in the Atlantic, Pacific, and Indian Oceans of rocks far older than 200 million years, many of them continental in nature, provide strong evidence against the alleged youth of the underlying crust. In the equatorial segment of the Mid-Atlantic Ridge numerous shallow-water and continental rocks, with ages up to 3.74 billion years have been found. A study of St. Peter and Paul’s Rocks at the crest of the Mid-Atlantic Ridge just north of the equator, turned up an 835-million-year rock associated with other rocks giving 350-, 450-, and 2000-million-year ages, whereas according to the seafloor-spreading model the rock should have been 35 million years. Rocks dredged from the Bald Mountain region just west of the Mid-Atlantic Ridge crest at 45°N were found to be between 1690 and 1550 million years old. 75% of the rock samples consisted of continental-type rocks, and the scientists involved commented that this was a ‘remarkable phenomenon’ – so remarkable, in fact, that they decided to classify these rocks as ‘glacial erratics’ and to give them no further consideration. Another way of dealing with ‘anomalous’ rock finds is to dismiss them as ship ballast. However, the Bald Mountain locality has an estimated volume of 80 km³, so it is hardly likely to have been rafted out to sea on an iceberg or dumped by a ship! In another attempt to explain away anomalously old rocks and anomalously shallow or emergent crust in certain parts of the ridges, some plate tectonicists have put forward the contrived notion that ‘nonspreading blocks’ can be left behind during rifting, and that the spreading axis and related transform faults can jump from place to place. Strong support for seafloor spreading is said to be provided by marine magnetic anomalies – approximately parallel stripes of alternating high and low magnetic intensity that characterize some 70% of the world’s midocean ridges. According to the plate-tectonic hypothesis, as the fluid basalt welling up along the midocean ridges spreads horizontally and cools, it is magnetized by the earth’s magnetic field. Bands of high intensity are believed to have formed during periods of normal magnetic polarity, and bands of low intensity during periods of reversed polarity. However, ocean drilling has seriously undermined this simplistic model. Correlations have been made between linear magnetic anomalies on either side of a ridge, in different parts of the oceans, and with radiometrically-dated magnetic events on land. The results have been used to produce maps showing how the age of the ocean floor increases steadily with increasing distance from the ridge axis. As indicated above, this simple picture can be sustained only by dismissing the possibility of older sediments beneath the basalt ‘basement’ and by ignoring numerous ‘anomalously’ old rock ages. The claimed correlations have been largely qualitative and subjective, and are therefore highly suspect. More detailed, quantitative analyses have shown that the alleged correlations are very poor. A more likely explanation of the magnetic stripes is that they are caused by fault-related bands of rock of different magnetic properties, and have nothing to do with seafloor spreading. A remarkable fact concerning oceanic magnetic anomalies is that they are approximately concentric with respect to Archean continental shields (i.e. continental nuclei more than 2.5 billion years old). This implies that instead of being a ‘taped record’ of seafloor spreading and geomagnetic field reversals during the past 200 million years, most oceanic magnetic anomalies are the sites of ancient fractures, which partly formed during the Proterozoic and have been rejuvenated since. The evidence also suggests that Archean continental nuclei have held approximately the same positions with respect to one another since their formation – which is utterly at variance with continental drift. Benioff zones are distinct earthquake zones that begin at an ocean trench and slope landward and downward into the earth. In plate tectonics, these deep-rooted fault zones are interpreted as ‘subduction zones’ where plates descend into the mantle. They are generally depicted as 100-km-thick slabs descending into the earth either at a constant angle, or at a shallow angle near the earth’s surface and gradually curving round to an angle of between 60° and 75°. Neither representation is correct. Benioff zones often consist of two separate sections: an upper zone with an average dip of 33° extending to a depth of 70-400 km, and a lower zone with an average dip of 60° extending to a depth of up to 700 km. The upper and lower segments are sometimes offset by 100-200 km, and in one case by 350 km. Furthermore, deep earthquakes are disconnected from shallow ones; very few intermediate earthquakes exist. Many studies have found transverse as well as vertical discontinuities and segmentation in Benioff zones. The evidence therefore does not favor the notion of a continuous, downgoing slab. Figure 8. Earthquake distribution perpendicular to the Andes (15-30°S).13 The outlined ‘subducting slab’ appears to owe a great deal to wishful thinking. Plate tectonicists insist that the volume of crust generated at midocean ridges is equaled by the volume subducted. But whereas 80,000 km of midocean ridges are supposedly producing new crust, only 30,500 km of trenches exist. Even if we add the 9000 km of ‘collision zones’, the figure is still only half that of the ‘spreading centers’. With two minor exceptions, Benioff zones are absent from the margins of the Atlantic, Indian, Arctic, and Southern Oceans. Africa is allegedly being converged on by plates spreading from the east, south, and west, yet it exhibits no evidence whatsoever for the existence of subduction zones or newly forming mountains belts. Antarctica, too, is almost entirely surrounded by alleged ‘spreading’ ridges without any corresponding subduction zones, but fails to show any signs of being crushed. It has been suggested that Africa and Antarctica may remain stationary while the surrounding ridge system migrates away from them, but this would require the ridge marking the ‘plate boundary’ between Africa and Antarctica to move in opposite directions simultaneously! If up to 13,000 kilometers of lithosphere had really been subducted in circum-Pacific deep-sea trenches, vast amounts of oceanic sediments should have been scraped off the ocean floor and piled up against the landward margin of the trenches. However, sediments in the trenches are generally not present in the volumes required, nor do they display the expected degree of deformation. Scholl & Marlow, who support plate tectonics, admitted to being ‘genuinely perplexed as to why evidence for subduction or offscraping of trench deposits is not glaringly apparent’.14 Plate tectonicists have had to resort to the highly dubious notion that unconsolidated deep-ocean sediments can slide smoothly into a Benioff zone without leaving any significant trace. Subduction along Pacific trenches is also refuted by the fact that the Benioff zone often lies 80 to 150 km landward from the trench; by seismic profiles showing that Precambrian lower crust passes across Pacific trenches without any subduction; by the evidence that Precambrian continental structures continue into the ocean floor; and by the evidence for submerged continental crust under the northwestern and southeastern Pacific, where there are now deep abyssal plains and trenches. Figure 9. Interpretation of a seismic profile across the Java Trench.15 Units I and II seem to be of Precambrian age and the faults point to tensile stresses rather than compression, while unit III is well layered and little disturbed. The subducting plate appears to have gone missing. Figure 10. Many ancient tectonic trends continue across continents and ocean floors, and show no respect for the mobilistic theories of plate tectonics.16 NPM = North Pacific Megatrend; CPM = Central Pacific Megatrend; F.Z. = fracture zone. Classical plate tectonics seeks to explain all geologic structures primarily in terms of simple horizontal movements of lithospheric plates – their rifting, extension, collision, and subduction. But random plate interactions are unable to explain the periodic character of geological processes, i.e. the geotectonic cycle, which sometimes operates on a global scale. Nor can they explain the large-scale uplifts and subsidences that have characterized the evolution of the earth’s crust, especially those occurring far from ‘plate boundaries’ such as in continental interiors, and vertical oscillatory motions involving vast regions. The presence of marine strata thousands of meters above sea level (e.g. near the summit of Mount Everest) and the great thicknesses of shallow-water sediment in some old basins indicate that vertical crustal movements of at least 9 km above sea level and 10-15 km below sea level have taken place. The primary mountain-building mechanism in plate tectonics is lateral compression caused by collisions – of continents, island arcs, oceanic plateaus, seamounts, and ridges. In this model, subduction proceeds without mountain building until collision occurs, whereas in the noncollision model subduction alone is supposed to cause mountain building. As well as being mutually contradictory, both models are inadequate, as several supporters of plate tectonics have admitted. The noncollision model fails to explain how continuous subduction can give rise to discontinuous mountain building, while the collision model is challenged by occurrences of mountain building where no continental collision can be assumed, and it fails to explain contemporary mountain-building activity along such chains as the Andes and around much of the rest of the Pacific rim. A major new hypothesis of geodynamics is surge tectonics, which rejects both seafloor spreading and continental drift.5 Surge tectonics postulates that all the major features of the earth’s surface, including rifts, foldbelts, metamorphic belts, and strike-slip zones, are underlain by shallow (less than 80 km) magma chambers and channels (known as ‘surge channels’). Seismotomographic data suggest that surge channels form an interconnected worldwide network, which has been dubbed ‘the earth’s cardiovascular system’. Active surge channels are characterized by high heat flow and microearthquakes. Magma from the asthenosphere flows slowly through active channels at the rate of a few centimeters a year. This horizontal flow is demonstrated by two major surface features: linear, belt-parallel faults, fractures, and fissures; and the division of tectonic belts into fairly uniform segments. The same features characterize all lava flows and tunnels, and have also been observed on Mars, Venus, and several moons of the outer planets. Surge tectonics postulates that the main cause of geodynamics is lithosphere compression, generated by the cooling and contraction of the earth. * As compression increases during a geotectonic cycle, it causes the magma to move through a channel in pulsed surges and eventually to rupture it, so that the contents of the channel surge bilaterally upward and outward to initiate tectogenesis. The asthenosphere (in regions where it is present) alternately contracts during periods of tectonic activity and expands during periods of tectonic quiescence. The earth’s rotation, combined with differential lag between the more rigid lithosphere above and the more fluid asthenosphere below, causes the fluid or semifluid materials to move predominantly eastward. *Earth scientists hold widely divergent views on the changes in size that the earth has undergone since its formation. From a theosophical perspective, after its formation in an ethereal state some 2 billion years ago, the earth gradually physicalized and contracted to some extent. This downward arc of the earth’s evolution came to an end a few million years ago, and the upward arc of reetherealization began. The earth may be expected to expand slightly as the forces of attraction begin to relax. Van Andel asserts that ‘plates’ rise or fall by no more than a few hundred meters – this being the maximum depth of most ‘epicontinental’ seas. However, this overlooks an elementary fact: huge thicknesses of sediments were often deposited during marine incursions, often requiring vertical crustal movements of many kilometers. Sediments accumulate in regions of subsidence, and their thickness is usually close to the degree of downwarping. In the unstable, mobile belts bordering stable continental platforms, many geosynclinal troughs and circular depressions accumulated sedimentary thicknesses of 10 to 14 km, and in some cases of 20 km. Although the sediments deposited on the platforms themselves are mostly less than 1.5 km thick, here too sedimentary basins with deposits 10 km or even 20 km thick are not unknown. In the past, sediments have been transported to today’s continents from the direction of the present-day oceans, where there must have been considerable areas of land that underwent erosion. For instance, the Paleozoic geosyncline along the seaboard of eastern North America, an area now occupied by the Appalachian mountains, was fed by sediments from a borderland (‘Appalachia’) in the adjacent Atlantic. Other submerged borderlands include the North Atlantic Continent or Scandia (west of Spitsbergen and Scotland), Cascadia (west of the Sierra Nevada), and Melanesia (southeast of Asia and east of Australia). A million cubic kilometers of Devonian sediments from Bolivia to Argentina imply an extensive continental source to the west where there is now the deep Pacific Ocean. During Paleozoic-Mesozoic-Paleogene times, the Japanese geosyncline was supplied with sediments from land areas in the Pacific. When trying to explain sediment sources, plate tectonicists sometimes argue that sediments were derived from the existing continents during periods when they were supposedly closer together. Where necessary, they postulate small former land areas (microcontinents or island arcs), which have since been either subducted or accreted against continental margins as ‘exotic terranes’. However, mounting evidence is being uncovered that favors the foundering of sizable continental landmasses, whose remnants are still present under the ocean floor. Oceanic crust is regarded as much thinner and denser than continental crust: the crust beneath oceans is said to average about 7 km thick and to be composed largely of basalt and gabbro, whereas continental crust averages about 35 km thick and consists chiefly of granitic rock capped by sedimentary rocks. However, ancient continental rocks and crustal types intermediate between standard ‘continental’ and ‘oceanic’ crust are increasingly being discovered in the oceans, and this is a serious embarrassment for plate tectonics. The traditional picture of the crust beneath oceans being universally thin and graniteless may well be further undermined in the future, as seismic research and ocean drilling continue. There are over 100 submarine plateaus and aseismic ridges scattered throughout the oceans, many of which were once above water. They make up about 10% of the ocean floor. 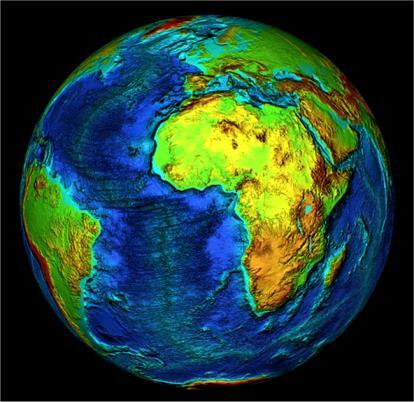 Many appear to be composed of modified continental crust 20-40 km thick – far thicker than ‘normal’ oceanic crust. They often have an upper 10-15 km crust with seismic velocities typical of granitic rocks in continental crust. They have remained obstacles to predrift continental fits, and have therefore been interpreted as extinct spreading ridges, anomalously thickened oceanic crust, or subsided continental fragments carried along by the ‘migrating’ seafloor. 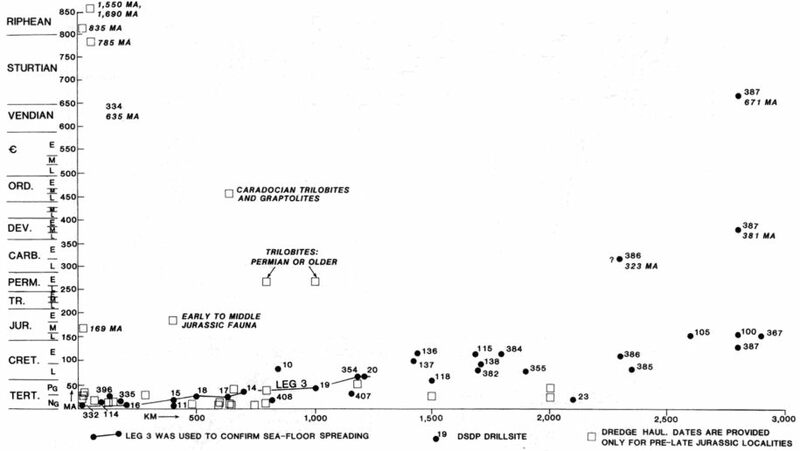 If seafloor spreading is rejected, they cease to be anomalous and can be interpreted as submerged, in-situ continental fragments that have not been completely ‘oceanized’. Oceanographic and geological data suggest that a large part of the Indian Ocean, especially the eastern part, was land (called by some scientists ‘Lemuria’) from the Jurassic until the Miocene. The evidence includes seismic and pollen data and subaerial weathering which suggest that the Broken and Ninety East Ridges were part of an extensive, now sunken landmass; extensive drilling, seismic, magnetic, and gravity data pointing to the existence an Alpine-Himalayan foldbelt in the northwestern Indian Ocean, associated with a foundered continental basement; data that continental basement underlies the Scott, Exmouth, and Naturaliste plateaus west of Australia; and thick Triassic and Jurassic sedimentation on the western and northwestern shelves of the Australian continent with characteristics pointing to a western source. In the North Atlantic and Arctic Oceans, modified continental crust (mostly 10-20 km thick) underlies not only ridges and plateaus but most of the ocean floor; only in deep-water depressions is typical oceanic crust found. Since deep-sea drilling has shown that large areas of the North Atlantic were previously covered with shallow seas, it is possible that much of the North Atlantic was continental crust before its rapid subsidence. Lower Paleozoic continental rocks with trilobite fossils have been dredged from seamounts scattered over a large area northeast of the Azores, and the presence of continental cobbles suggests that the area concerned was a submerged continental zone. Bald Mountain, from which a variety of ancient continental material has been dredged, could certainly be a foundered continental fragment. In the equatorial Atlantic, continental and shallow-water rocks are ubiquitous. Figure 15. 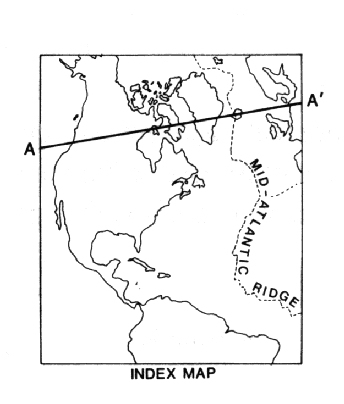 Areas (shaded) in the Atlantic Ocean that are known to have subsided. Figure 16. Ancient and continental rocks so far discovered in the Atlantic Ocean (Vasiliev & Yano, 2007). Since this was written (in 1888), ocean exploration has confirmed that the Mid-Atlantic Ridge does indeed continue around South Africa and into the Indian Ocean. According to modern theosophy, Poseidonis – Plato’s ‘Atlantis’ – was an island about the size of Ireland, situated in the Atlantic Ocean opposite the strait of Gibraltar, and sank in a major cataclysm in 9565 BC.23 Former exploration geologist Christian O’Brien believes that Poseidonis was a large mid-Atlantic ridge island centred on the Azores.24 By contouring the seabed, he found that the Azores were separated and surrounded by a net of submarine valleys that had all the hallmarks of having once been river valleys on the surface. He concluded that the island had originally measured 720 km across from east to west, and 480 km from north to south, with high mountain ranges rising over 3660 metres above sea level. Before or during its submergence, it tilted by about 0.4° with the result that the south coast sank about 3355 metres but the north coast only some 1830 metres. Only the mountain peaks remained above the waters, and now form the nine volcanic islands of the Azores. 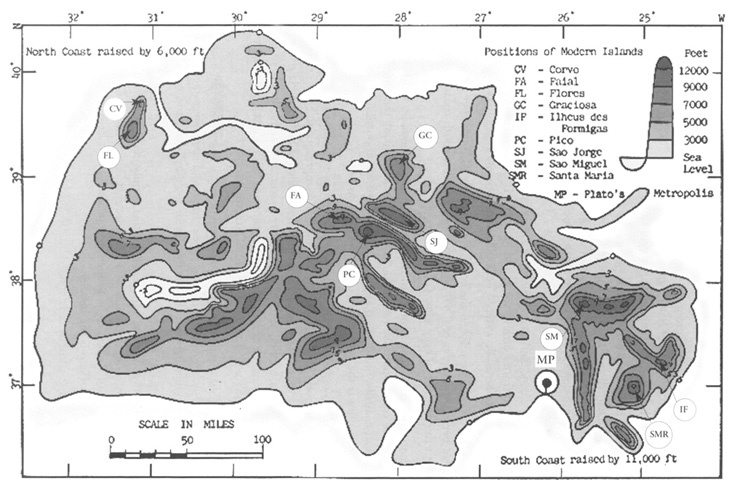 O’Brien thinks the island could have sunk within a period of a few years or even months, and points out that six areas of hot spring fields (associated with volcanic disturbances) are known in the mid-Atlantic ridge area, and four of them lie in the Kane-Atlantis area close to the Azores. Further surveys and core samples are required to test O’Brien’s hypothesis. Figure 17. Christian O’Brien’s reconstruction of Poseidonis. When plate tectonics – the reigning paradigm in the earth sciences – was first elaborated in the 1960s, less than 0.0001% of the deep ocean had been explored and less than 20% of the land area had been mapped in meaningful detail. Even by the mid-1990s, only about 3 to 5% of the deep ocean basins had been explored in any kind of detail, and not much more than 25 to 30% of the land area could be said to be truly known. Scientific understanding of the earth’s surface features is clearly still in its infancy, to say nothing of the earth’s interior. Plate tectonics certainly faces some overwhelming problems. Far from being a simple, elegant, all-embracing global theory, it is confronted with a multitude of observational anomalies, and has had to be patched up with a complex variety of ad-hoc modifications and auxiliary hypotheses. The existence of deep continental roots and the absence of a continuous, global asthenosphere to ‘lubricate’ plate motions, have rendered the classical model of plate movements untenable. There is no consensus on the thickness of the ‘plates’ and no certainty as to the forces responsible for their supposed movement. The hypotheses of large-scale continental drift, seafloor spreading and subduction, and the relative youth of the oceanic crust are contradicted by a considerable volume of data. Evidence for substantial vertical crustal movements and for significant amounts of submerged continental crust in the present-day oceans poses another major challenge to plate tectonics. Such evidence provides increasing confirmation of the periodic alternation of land and sea taught by theosophy. 1. Paul D. Lowman, in: Chatterjee & Hotton, 1992, p. 3. 2. D. McGeary & C.C. Plummer, Physical Geology: earth revealed, WCB, McGraw-Hill, 3rd ed, 1998, p. 97. 3. V.A. Saull, ‘Wanted: alternatives to plate tectonics’, Geology, vol. 14, 1986, p. 536. 1. N.I. Pavlenkova, in: Barto-Kyriakidis, 1990, vol. 1, p. 78. 2. S.P. Grand, Journal of Geophysical Research, vol. 92, 1987, pp. 14065-14090. 3. E.C. Bullard et al., Royal Society of London Philosophical Transactions, Series A, vol. 258, 1965, pp. 41-51. 4. H.P. Blavatsky, The Secret Doctrine, Theos. Univ. Press, 1977 (1888), 2:791. 5. Meyerhoff et al., 1996b, p. 3. 6. C.J. 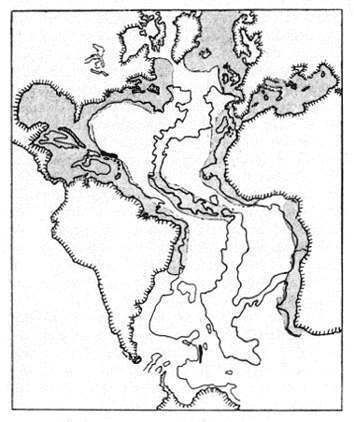 Smiley, ‘Paleofloras, faunas, and continental drift: some problem areas’, in: Chatterjee & Hotton, 1992, pp. 241-257. 7. J.W. Gregory, ‘The plan of the earth and its causes’, The Geographical Journal, vol. 13, 1899, pp. 225-250. 8. 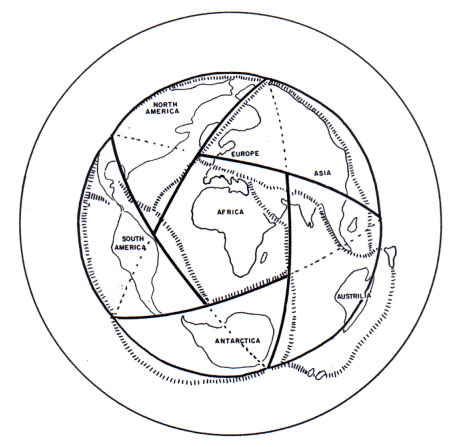 A. Spilhaus, ‘Geo-art: plate tectonics and Platonic solids’, American Geophysical Union Transactions, vol. 56, 1975, pp. 52-57. 9. 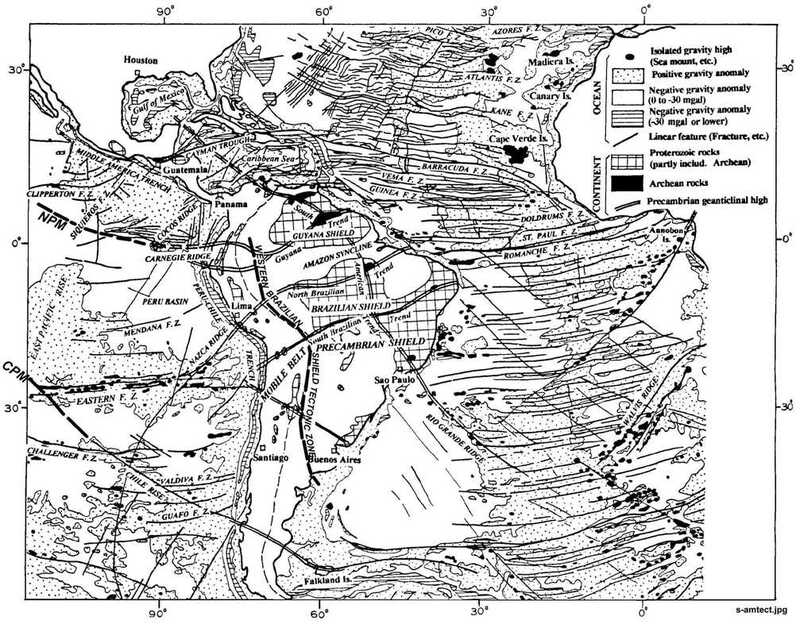 N.C. Smoot & A.A. Meyerhoff, ‘Tectonic fabric of the Atlantic Ocean floor: speculation vs. reality’, Journal of Petroleum Geology, vol. 18, 1995, pp. 207-222. 10. McGeary & Plummer, Physical Geology: earth revealed, p. 78. 11. A.A. Meyerhoff & H.A. 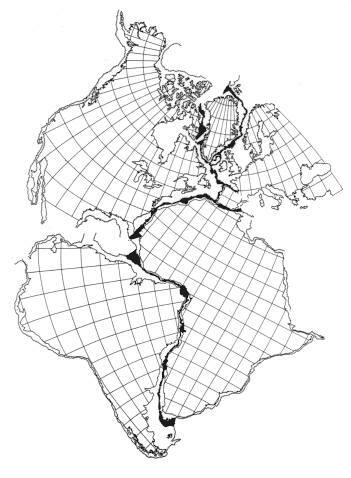 Meyerhoff, ‘ “The new global tectonics”: age of linear magnetic anomalies of ocean basins’, American Association of Petroleum Geologists Bulletin, vol. 56, 1972, pp. 337-359. 12. H. Benioff, ‘Orogenesis and deep crustal structure – additional evidence from seismology’, Geological Society of America Bulletin, vol. 65, 1954, pp. 385-400. 13. R. Teisseyre et al., ‘Focus distribution in South American deep-earthquake regions and their relation to geodynamic development’, Physics of the Earth and Planetary Interiors, vol. 9, 1974, pp. 290-305. 14. D.W. Scholl & M.S. Marlow, in: C.F. Kahle (Ed. ), Plate Tectonics – Assessments and Reassessments (Memoir 23), Tulsa, OK: American Association of Petroleum Geologists, 1974, p. 268. 15. D.R. Choi, ‘Plate subduction is not the cause for the great Indonesian earthquake on December 26, 2004’, New Concepts in Global Tectonics Newsletter, no. 34, 2005, pp. 21-26. 16. D.R. Choi, ‘Deep earthquakes and deep-seated tectonic zones. Part 2: South America’, New Concepts in Global Tectonics Newsletter, no. 24, 2002, pp. 2-7. 3. C.D. Ollier, ‘Mountains’, in: Barto-Kyriakidis, 1990, vol. 2, pp. 211-236. 4. H.C. Sheth, ‘Flood basalts and large igneous provinces from deep mantle plumes: fact, fiction, and fallacy’, Tectonophysics, vol. 311, 1999, pp. 1-29. 5. See Meyerhoff et al., 1996a. 7. T.H. Van Andel, New Views on an Old Planet: a history of global change (2nd ed. ), Cambridge Univ. Press, 1994, p. 170. 8. 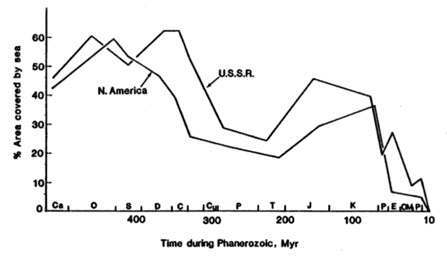 A. Hallam, ‘Secular changes in marine inundation of USSR and North America through the Phanerozoic’, Nature, vol. 269, 1977, pp. 769-772. 9. C.G.A. 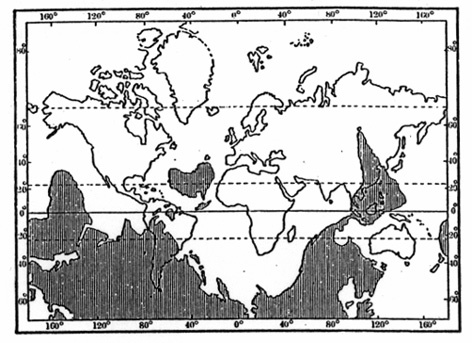 Harrison et al., ‘Continental hypsography’, Tectonics, vol. 2, 1983, pp. 357-377; A. Hallam, Phanerozoic Sea-Level Changes, Columbia Univ. Press, 1992, pp. 15-19. 10. V.V. 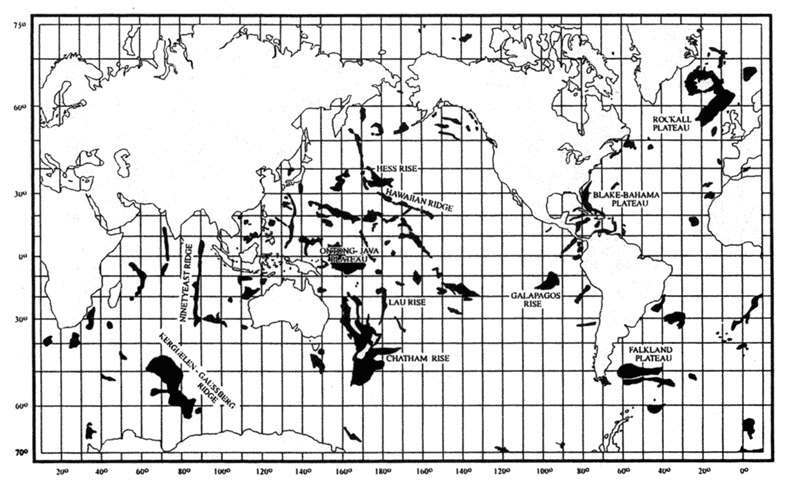 Orlenok, ‘The evolution of ocean basins during Cenozoic time’, Journal of Petroleum Geology, vol. 9, 1986, pp. 207-216. 11. E.M. Ruditch, ‘The world ocean without spreading’, in: Barto-Kyriakidis, 1990, vol. 2, pp. 343-395. 12. See Theosophy and the seven continents, davidpratt.info. 13. Vasiliev & Choi, 2008; B.I. Vasiliev & L.N. Sovetnikova, ‘Geological development of the Northwestern Pacific’, New Concepts in Global Tectonics Newsletter, no. 46, 2008, pp. 20-27; E.P. Lelikov et al., ‘Geology and dredged rocks from the Sea of Japan floor: Part 1’, New Concepts in Global Tectonics Newsletter, no. 45, 2007, pp. 5-20. 14. J.M. Dickins, ‘What is Pangaea?’, in: A.F. Embry, B. Beauchamp & D.G. 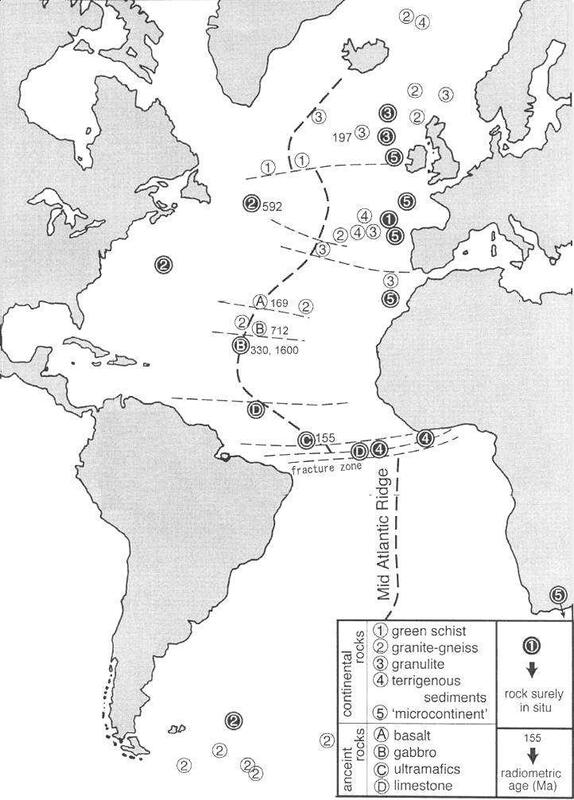 Glass, Pangea: Global environments and resources, Canadian Society of Petroleum Geologists, Memoir 17, 1994, pp. 67-80. 15. L.S. 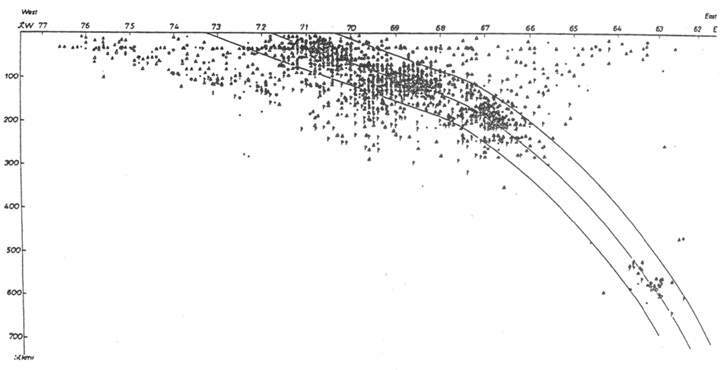 Dillon, ‘Neovolcanism: a proposed replacement for the concepts of plate tectonics and continental drift’, in: Kahle, 1974, pp. 167-239. 18. J.M. Dickins, D.R. Choi & A.N. 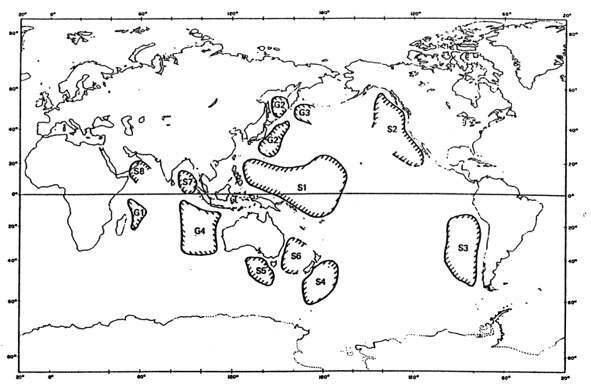 Yeates, ‘Past distribution of oceans and continents’, in: Chatterjee & Hotton, 1992, pp. 193-199 (p. 198). 19. A.T. Barker (comp. ), The Mahatma Letters to A.P. Sinnett, Theos. Univ. Press, 2nd ed., 1926, p. 151; The Secret Doctrine, 2:332-3. 20. 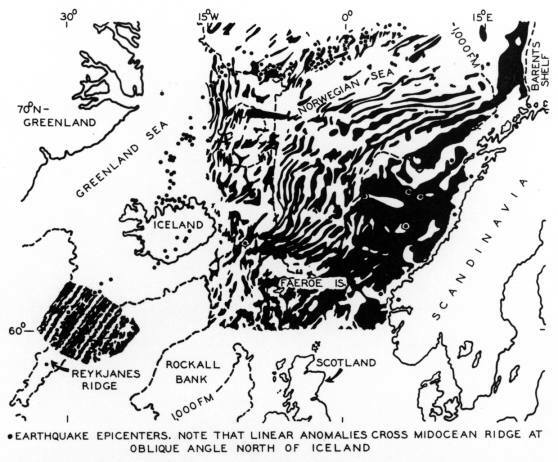 M. Ewing, ‘New discoveries on the mid-Atlantic ridge’, National Geographic Magazine, vol. xcvi (Nov.), 1949, pp. 611-640; Corliss, 1990, p. 245. 21. R.W. Kolbe, ‘Fresh-water diatoms from Atlantic deep-sea sediments’, Science, vol. 126, 1957, pp. 1053-1056; R.W. Kolbe, ‘Turbidity currents and displaced fresh-water diatoms’, Science, vol. 127, 1958, pp. 1504-1505; Corliss, 1989, pp. 32-33. 22. B.C. Heezen, M. Ewing, D.B. Ericson & C.R. Bentley, ‘Flat-topped Atlantis, Cruiser, and Great Meteor Seamounts’ (Abstract), Geological Society of America Bulletin, vol. 65, 1954, p. 1261; Corliss, 1988, p. 88. 23.The Mahatma Letters, pp. 151, 155. 24. Christian & Barbara Joy O’Brien, The Shining Ones, Kemble, Cirencester: Dianthus Publishing, 2001, pp. 435-42; ‘Survey of Atlantis’, www.goldenageproject.org.uk. 1. V.V. Beloussov, Geotectonics, Moscow: Mir, 1980, p. 303. Corliss, W.R. (comp. ), 1988. Carolina Bays, Mima Mounds, Submarine Canyons & Other Topographical Phenomena. Glen Arm, MD: Sourcebook Project. Corliss, W.R. (comp. ), 1989. Anomalies in Geology: physical, chemical, biological. Glen Arm, MD: Sourcebook Project. Corliss, W.R. (comp. ), 1990. Neglected Geological Anomalies. Glen Arm, MD: Sourcebook Project. Meyerhoff, A.A., Taner, I., Morris, A.E.L., Agocs, W.B.,�Kaymen-Kaye, M., Bhat, M.I., Smoot, N.C. & Choi, D.R., 1996a. Surge Tectonics: a new hypothesis of global�geodynamics (D. Meyerhoff Hull, Ed.). Dordrecht: Kluwer. Meyerhoff, A.A., Boucot, A.J., Meyerhoff Hull, D. & Dickins, J.M., 1996b. Phanerozoic Faunal & Floral Realms of the Earth (Memoir 189). Boulder, CO: Geological Society of America. Pratt, D., 2000. Plate tectonics: a paradigm under threat. Journal of Scientific Exploration, vol. 14, no. 3, pp. 307-52. Pratt, D., 2013. Palaeomagnetism, plate motion and polar wander. New Concepts in Global Tectronics Journal, vol. 1, no. 1, pp. 66-152. Smoot, N.C., 2004. Tectonic Globaloney. Philadelphia: Xlibris. Smoot, N.C., Choi, D.R., & Bhat, M.I., 2001. Active Margin Geomorphology. Philadelphia: Xlibris. Smoot, N.C., 2015. Marine Geomorphology. Portsmouth, NH: Mindstir Media, 3rd ed. Storetvedt, K.M., 1997. Our Evolving Planet: earth history in new perspective. Bergen, Norway: Alma Mater. Vasiliev, B.I., & Yano, T., 2007. Ancient and continental rocks discovered in the ocean floors. New Concepts in Global Tectonics Newsletter, no. 43, pp. 3-17. Vasiliev, B.I., & Choi, D.R., 2008. Geology and tectonic development of the Pacific Ocean. Part 3: Structure and composition of the basement. New Concepts in Global Tectonics Newsletter, no. 48, pp. 23-51. Yano, T., Choi, D.R., Gavrilov, A.A., Miyagi, S., & Vasiliev, B.I., 2009. Ancient and continental rocks in the Atlantic Ocean. New Concepts in Global Tectonics Newsletter, no. 53, pp. 4-37. Yano, T., Vasiliev, B.I., Choi, D.R., Miyagi, S., Gavrilov, A.A., & Adachi, H., 2011. Continental rocks in the Indian Ocean. New Concepts in Global Tectonics Newsletter, no. 58, pp. 9-28. Dec 2000. Last revised Mar 2011.